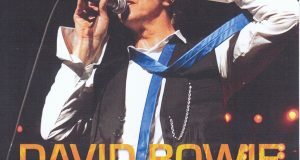 The second bullet of Bowie ‘s ultra – superb archive series “DBAS”. Following the first bulletin of 10 generations, the official album of phantom entered the store. It is “BBC SESSIONS 1969-1972” which compiled the BBC sessions of the 60’s and 70’s. Speaking of BBC’s early BBC, the official work “BOWIE AT THE BEEB” comes up, but of course this work is a different thing. Actually, in 1996, there was also a similar BBC archive plan, and its sample board “BBC SESSIONS 1969? 1972 (Sampler)” was released. However, there was a problem with licensing and it was canceled. It entered the storehouse. Four years later “BOWIE AT THE BEEB” was released, but in fact the contents were different. 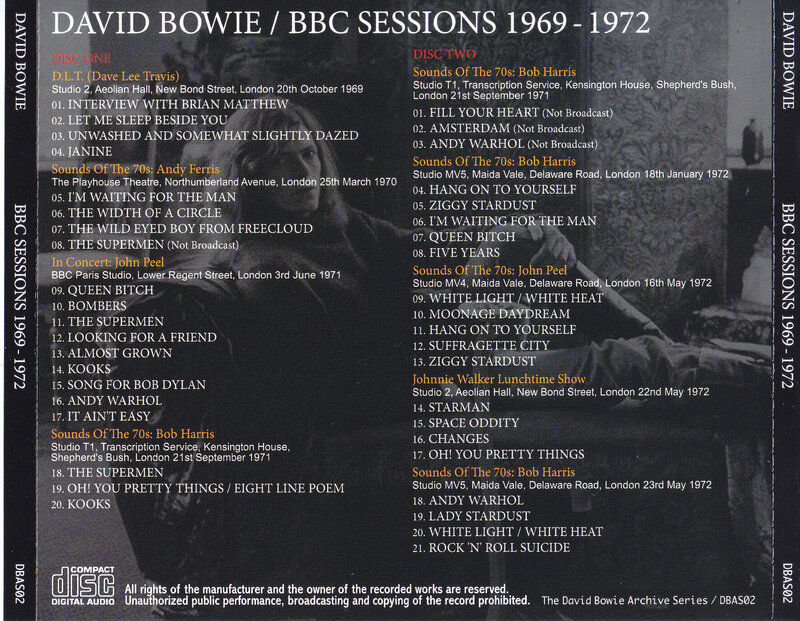 “BOWIE AT THE BEEB” was the best compilation selected from each session, but when we look at the songs that were on sale schedule, “BBC SESSIONS 1969-1972” was a complete form of the recording session. Besides, the sound was different more than that. The sound quality was different between the sample board and the “BOWIE AT THE BEEB”, and the sample board was better in sound even with the same take. For that reason, the world’s maniacs were anxious for the original “BBC SESSIONS 1969-1972” which was supposed to be released originally. Yes, this is it. It is a natural sound which is more than “BOWIE AT THE BEEB”, and it is the decision board which recorded each session in complete form. However, although this work is an official work entered into the warehouse to the last, it is not a complete board of the BBC session. 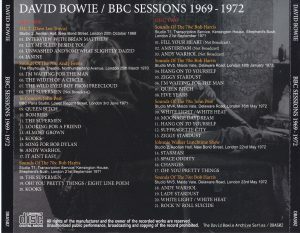 Since it is a good opportunity, let’s comprehend the total of 12 BBC sessions of the 60’s and 70’s when Bowie appeared. ※ Note: The date is not the broadcast date but the recording date. The special number “STAR SPECIAL” who served as DJ in 1979 has been omitted. This is a BBC appearance until the 1970s, “●” is a session of this work recording. Completely recorded up to 8 times out of 12 times. Until 1972, thereafter, there was no appearance until the 1990s. On the official “BOWIE AT THE BEEB”, “May 13, 1968” and “February 5, 1970” which are not in this work are also recorded (partly), so lightly “BOWIE AT THE BEEB expansion Although it can not say that it is a version, this work is a complete version of all sessions recorded. As a result, this work is both lengthy and time-consuming and time-consuming. Let’s introduce 8 sessions of this work collection. First of all, “DAVE LEE TRAVIS SHOW” appeared just before the release of “Space Odity”. Two songs “Let Me Sleep Beside You” and “Janine” were also recorded in “BOWIE AT THE BEEB”, but this work is more rashful “Unwashed And Somewhat Slightly Dazed” in many cases, and more specialist MC Brian · Matthew’s interview is also included. As a matter of fact, I did not interview “BBC SESSIONS 1969-1972” scheduled for official release, but this work was added from the transcription disc of “TOP OF THE POPS”. We have realized the full version of the broadcast. Meeting with ally friends Mick Ronson and Tony Visconti, a session with THE HYPE back. In “BOWIE AT THE BEEB” it was only one song “The Wild Eyed Boy From Freecloud”, but it was a greatly increased 4 song complete version. Just before “Man who sold the world” comes up, I already play “The Width Of A Circle” “The Supermen” in the initial version. That “Supermen” is a take that was cut in the broadcast. It was planned not to be included in the official release version of “BBC SESSIONS 1969-1972”, but this work additionally recorded, it has become the complete form of the session. And this is also the official track. It is the highest peak take that was recorded only in the 4-piece analog board of “BOWIE AT THE BEEB”. The third is John Peale’s “IN CONCERT” who appeared just before “HUNKEY DREE”. It is a large-scale thing to play nine songs at the same time, it is a complete version with four more songs than “BOWIE AT THE BEEB”. Moreover, this broadcast is a treasure trove of rare songs. In addition to “Preview” Looking For A Friend “,” Kooks “,” Song For Bob Dylan “, as well as three songs” Bombers “” Almost Grown “” It Is not Easy ” It is rare performance. However, not all songs Bowie sing, but with The SPIDERS FROM MARS ‘s side back, playing with a variety of guests. “Almost Grown” is Geoffrey Alexander, “Song For Bob Dylan” is George Underwood, “Andy Warhol” is lead vocal by Dana Gillespie. “It Is not Easy” is a take that three people sing with Bowie → Geoffrey → George. In September 1971 when the production of “Ziggy Stardust” finally came to be. It is “SOUNDS OF THE 70s” by Bob Harris who appeared in Mick · Ronson and Duo. It was 2 songs in “BOWIE AT THE BEEB”, but this work is six times three times. Besides, two songs are unreleased take. Both are wonderfully impressed with a simple ensemble of only two people, “Eight Line Poem” which was premiered this day will also be played in the medley with “Oh! You Pretty Things”. Three songs in the first half are divided into discs 1 and three songs in the latter half are divided into discs 2, but each song is a studio session divided into kitchens so there is no discomfort. “BBC SESSIONS 1969-1972” which was supposed to be released originally was a 3 CD set, but to record this session without dividing it. This work is recorded without releasing all its songs (rather than 2 take takeovers). 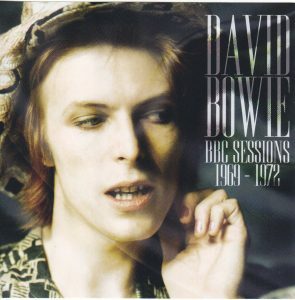 Next, 3 sessions (14 songs) from the end of production of “Ziggy · Stardust” to just before release. 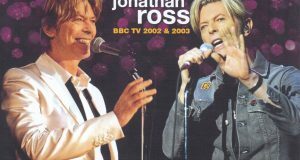 Both are familiar with “BOWIE AT THE BEEB”, there are no additional songs. But the sound is a different thing. “BOWIE AT THE BEEB” also did not feel shortage with fluffy official quality, but this work sounds more natural. If it compares, distortion is felt in the official board (by mastering), this work is beautiful and beautiful. This is the “real sound” that mania around the world has asked for. And just before and after the completion of “Ziggy Stardust”, the performance is the world of that famous board. The bags of THE SPIDERS FROM MARS solidified (Nick Graham also participated in the May session), famous songs such as “Hang On To Yourself” “Ziggy Stardust” “Moonage Daydream” “Suffragette City” “Starman” finally appeared . Although neither premiere, it is possible to listen to the fresh performance of the second and third times. 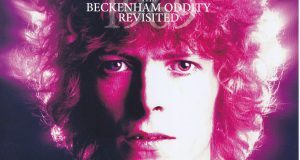 The last BBC session in the 1970s was also on the eve of “Ziggy Stardust” release. This is “SOUNDS OF THE 70s” by Bob Harris who was continuously recorded the following day of “JOHNNIE WALKER LUNCHTIME SHOW” above. Three songs were also listened to with “BOWIE AT THE BEEB”, but this work is a complete session with “White Light / White Heat” as well. “Rock ‘N’ Roll Suicide” also appeared, you can enjoy valuable “Lady Stardust”. Due to the sessions mentioned above, the members are also THE SPIDERS FROM MARS + Nick Graham. It is a secret treasure collection by the above, 2 hours 30 minutes · 41 take. This is a phantom official album that summarizes sounds and sessions in full form over “BOWIE AT THE BEEB”. The first volume of “DBAS” “1964/66 THE BIG ATTRACTION” was too early and a little maniac, but this work is a super golden period until “Ziggy · Stardust”. It is a cultural heritage grade super masterpiece wanting to recommend to all people with full strength, not just mania / collector. Permanent preservation Press 2 CD is emerging.